Data is growing at such an exceptionally fast rate and it is getting so pervasive that we are also seeing more data-driven insights appearing in the field of journalism, where journalists are starting to use “live” interactive data visualisations to illustrate or support the story they are sharing. 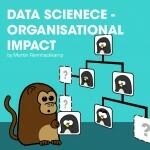 In many organisations we find what is called the “accidental data warehouse”. Sometimes you may even find more than one such data store floating around. These data warehouses have typically grown organically and uncontrolled as the result of separate and uncoordinated BI development and implementation initiatives. Prototyping reports and graphs interactively with business users is an excellent approach to get their requirements, and show them what can be provided. To do this you need to be well prepared and very skilled with the tool you are using. Are CIOs paying enough attention to capitalise on customer analytics? 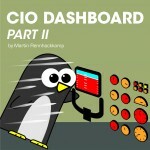 Is the new digitised CIO driving the customer analytics initiative? Are they going about it in an appropriate way in order to get the required ROI? A BI capability is one of the most business-critical IT-related resources of an organisation. 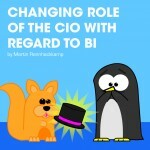 The degree of the BI capability’s alignment to the organisation’s strategic objectives can be measured by applying BI to the deployment of BI itself. Does prescriptive analytics deserve more attention? Leveraging data to gain worthwhile insights is fast becoming a natural practice for businesses, as they contend to remain competitively viable in a market where the only constant seems to be change. Data is an asset and those not investing in it are likely to be missing out. Artificial Intelligence (AI), Blockchain, the Internet of Things (IoT), Security and Automation are just some of the tech trends that have been raised for 2019. And what’s the one thing they all have in common? Data of course! While talk around digital transformation has been ‘hot on the heels’ for some time now, I often find myself wondering how much of this talk within business is centred around data, and not just technology. 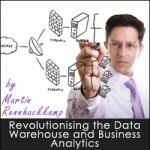 Data transformation goes hand in hand with the move to digital and while by default data will become a key component of any digital transformation strategy, I wonder if enough attention is being placed on data still – hence my consistent focus on driving the value of data in my blog posts. My previous blog post clearly established that the Chief Data Officer (CDO) should be sitting at the leadership table of any business wanting to truly capitalise on their data assets. But getting this right is no easy task and you are likely wondering how CIOs can make a case for the CDO role – especially within smaller or medium size businesses who have other important aspects to focus with regards to investment. 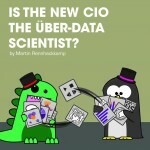 As an advocate of the chief data officer (CDO) role, I’ve published quite a few posts on the topic a while ago. More recently I have published on the role of the metadata and data dictionaries in achieving a higher degree of data quality. I have recently come across an article that took the data quality and data asset discussion full circle to the responsibilities of the CDO as the custodian of the data and information asset. As businesses continue to be inundated with data – coming in from various sources – and as we all continue to harp on about AI and how it is going to change the world, I find myself thinking about the role of metadata in all of this – so much so that I even addressed the topic with my colleagues recently. Smart, AI and Data walk into the room…what happens next? I must say, as I continue to see the world abuzz by AI, the more I am not only drawn to the topic but also tend to come across various views and opinions around businesses not yet truly benefitting from AI – and with that – the industry perception around the AI ‘pipe dream’.